Cork is the ultimate in commercial and residential floor coverings providing a beautiful, easy to maintain surface rich in clor and texture. Finished with our exclusive polyurethane finish, Expanko Cork tiles will last for decades, as proven by commercial installations still in use after 80 years. Because of our long history and experience in the field, Expanko can offer expert technical support for both materila selection and cork floor restoration. 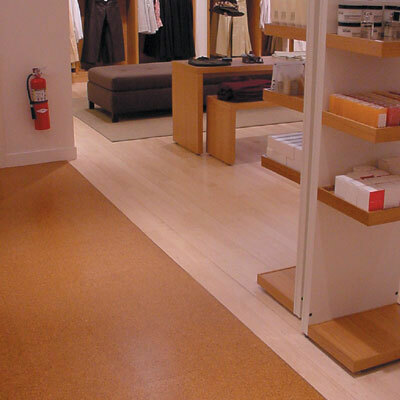 Click here for more information about Expanko Cork Flooring. Click here to request a measurement. Copyright ©2019 Flooring Website Templates All Rights Reserved. Your use of this Web site constitutes acceptance of the advantEDGE Software Licensing Agreement.